St. Lucia, West Indies --- Embrace summer with a getaway to Calabash Cove Resort & Spa, a beguiling beachfront boutique resort located on the Caribbean’s most romantic island. 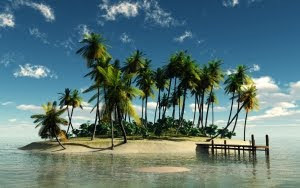 Escaping to this idyllic island paradise, named the number one honeymoon and romance destination, is a breeze this summer with new non-stop daily service on Jet Blue from the northeastern United States. Beginning June 28 through September 4, 2012, JetBlue Airways will offer daily non-stop flights between New York's JFK International Airport (JFK) and St. Lucia's Hewanorra Airport (UVF). The JetBlue flight departs New York at 8:29 a.m. each day and arrives in St. Lucia at 1:07 p.m, while return flights depart St. Lucia at 2:10 p.m. to arrive back in New York at 7:12 p.m. Plus, when you book through Calabash directly and stay for 7 nights or longer, you'll receive a complimentary luxury private car transfer and island refreshments to enjoy on your way to the spectacular, seaside retreat. Nestled on a lush, tropical hillside sloping gently toward the turquoise waters of the Caribbean Sea, Calabash Cove radiates romance with stunning ocean vistas, exquisite ambiance, a setting in complete harmony with its exotic natural surroundings, and an exceptional staff that anticipates every need and desire so guests can truly focus on each other. It’s the perfect setting for couples getaways, weddings and honeymoons or any occasion best celebrated in a serenely beautiful, intimate setting. Calabash Cove’s secluded white sand beach and a custom-designed boardwalk are perfect for a candlelit dinner or romantic sunset stroll. Each of the resort’s charming accommodations—offered at the lowest rates of the year starting April 15--are beautifully appointed, making use of natural materials wherever possible, and offer unparalleled views across the Caribbean Sea from the privacy of your porch or balcony. Our 1,000-square-foot Waters Edge Cottages, handcrafted teak and mahogany hideaways right on the beach, feature private plunge pools, outdoor rain showers, hammocks, while our unique Swim-Up Jr. Suites offer private access to the resort’s infinity-edge pool directly from your patio. Water’s Edge Cottages. Also available are luxurious Sunset Oceanview Jr. Suites with oversized Jacuzzis. Calabash Cove offers custom-tailored wedding and honeymoon packages, as well as a number of romance-themed extras for any occasion that you can add onto your stay in any of our accommodations, including the Romantic Honeymoon Escapade. Priced at just (US $295), this special add-on package includes a couples massage at sunset followed by a romantic candlelit beach dinner with your own private server with stunning views of the Caribbean Sea and the sparkling lights of Castries, the island’s capital, along with a decadent chocolate dessert and glass of champagne waiting for you afterward in your room, which is prepared with scattered flower petals candles, and a freshly drawn bubble bath. During your stay at Calabash Cove, soak up the island's beauty at the resort – lounging on our secluded, pristine white sand beach or Sweetwaters, our oversized infinity-edge pool and swim-up bar – or choose from a plethora of land and sea excursions offered through Calabash Cove's concierge service. Discover each other as you explore the island together and hike to the summit of its landmark Pitons, side-by-side volcanic summits that are designated a World Heritage Site. Snorkel or sail the Caribbean’s translucent blue, soak in natural hot springs and mineral baths, cool off under a tropical waterfall, ride a zip-line or aerial tram through a rainforest canopy, stroll through a quaint fishing village, view exotic wildlife like giant turtles, search for ancient petroglyphs, drive into a Sulphur Spring volcano, rock climb, golf … the list goes on and on with activities to suit every desire. Calabash Cove’s concierge service can help transform your dreams into realities with expert assistance in planning excursions and day-trips. To make reservations at Calabash Cove Resort & Spa, contact your preferred travel agent or e-mail reservations@calabashcove.com or Tammy@LMPInternational.com. Calabash Cove can also be booked through leading tour operators, including Travel Impressions, Vacation Express and the Mark Travel Company.